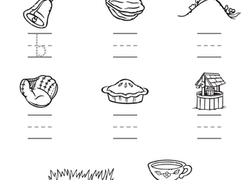 Challenge your kindergartner's reading and writing skills with this playful worksheet. 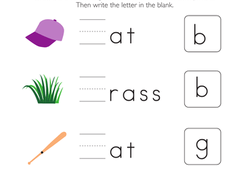 Practise writing the letter F then draw and label two items beginning with F.
With this handy worksheet, not only will your kindergartener practise matching letters with their sounds, he'll practise writing them, too! Practise writing the letter G then draw and label two objects beginning with G in the space provided. Practise writing the letter H then draw and label two objects beginning with H in the space provided. Next, practise writing the letter Q in lowercase and uppercase form. He'll get to do some drawing and writing as he completes a few simple activities.